Trump Appointee Brock Long Out As FEMA Chief - Joe.My.God. 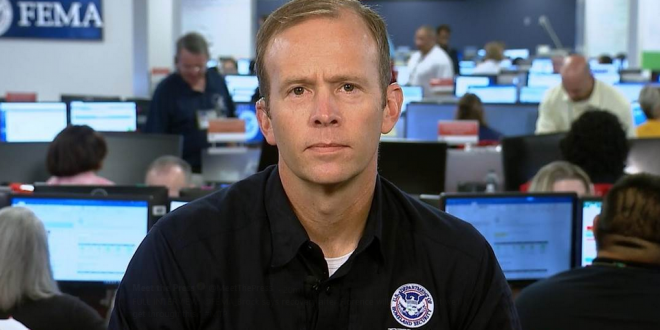 Brock Long, administrator at the Federal Emergency Management Agency (FEMA), has reportedly resigned. In a statement announcing his resignation, Long said in part, “this has been the opportunity of the lifetime, it is time for me to go home…” Long said Peter Gaynor will serve as acting FEMA administrator in the meantime. William “Brock” Long, the top official at the Federal Emergency Management Agency, is facing a potential criminal probe related to his use of government vehicles, after an internal investigation into his travel was referred to U.S. attorneys for prosecution, according to administration officials and others familiar with the matter. The development intensifies pressure on Long to step down and comes as he leads FEMA’s response to Hurricane Florence. Long has been under scrutiny by the Department of Homeland Security’s inspector general for using the vehicles to travel between Washington and his home in Hickory, N.C., where his wife and children live. Long first appeared on JMG when he defended Trump’s false claims about the hurricane death toll in Puerto Rico.